UCS | Abhijit Dhumne - Universal Consulting Services Inc. Motivated by a passion for helping organizations reach their potential, Abhijit and Charu co-founded UCS in December 2000 with the goal of helping Government clients transform their missions into reality. As the CEO of UCS, Abhijit is in charge of managing strategic client engagements, pursuing new business opportunities, and overseeing quality assurance. 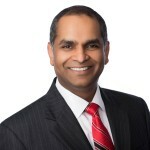 Abhijit brings a wealth of management consulting and industry experience, with specific expertise in DoD acquisition, technology, and logistics. Abhijit previously worked for IBM (PwC Consulting, Coopers & Lybrand), Northrop Grumman (Integic), and Thermax. Abhijit holds a certificate in Strategy & Innovation from the Massachusetts Institute of Technology’s (MIT) Sloan School of Management, in addition to an M.S. in Mechanical Engineering from the University of Houston and a B.E. in Mechanical Engineering from College of Engineering, Pune, India. Abhijit also serves as the President and Director of Project Codet, a 501c(3) nonprofit focused on developing and encouraging computer science training among elementary school students.